Before ordering please review the Modifications & Information page to ensure you understand everything. Then under the services tab find a package that best fits your needs and select the options you want and place your order. If you have any questions please contact us before placing an order. Include a legible copy of your government issued ID. We must return your frame or firearm to the address listed on your ID or to a local FFL. Place your frame or firearm in a box with a magazine. We recommend using paper, bubble wrap, or some other padding to help keep your items safe. There is no need to strip your frame or firearm. We will strip it and reassemble it before returning it. When it is time to ship please use FedEx or UPS or a local FFL to ship your firearm. 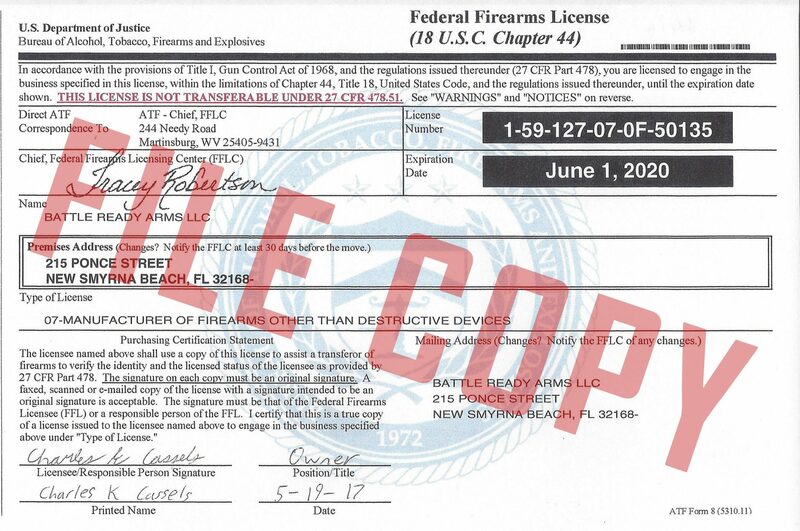 An individual without an FFL Shipping a frame or handgun through USPS is prohibited by federal law. We are an FFL so you may ship directly to us. However, the cheapest and often easiest way to ship a firearm is through your local FFL. It usually costs no more than $15-$30. Return shipping from us to the FFL you picked is free. When shipping a frame or firearm yourself it is advised you ship overnight with insurance and signature upon delivery. FedEx and UPS both require in their policy that firearms must be shipped overnight. Many people ignore this policy, but risk having their insurance claims denied should their package be lost or damaged. Do not mark anywhere on the outside of the box to indicate there is a firearm in the box. Insurance, overnight shipping, adult signature, and leaving the box unmarked will help to protect your firearm(s) from loss or theft.